Canton. On the Western fringes of the city, Canton is arguably one of the most lively, cultural areas in Wales. If you like creation and drama, you should probably pack your bags and head to Canton. You’d be hard-pressed to find a more innovative multi-platform space than Chapter Arts Centre, where you can grab a flat white or martini while immersing yourself in the latest local talent – from gritty drama to small-budget film to up-and-coming songbirds. Canton also has a fantastic eating scene – from pubs which are definitely part of the Cardiff furniture, to modern eateries blending cultures – think Breakfast Bar, Wiwo and Falafel Wales. Ely. Once the site of a Roman villa, it’s fair to say Ely has evolved. The modern day paints a far different picture, although in some areas it’s still apparent that it’s one of Cardiff’s oldest suburbs. Ely is considered among the city’s most deprived areas, but it’s working hard at progressing. Taking its name from the River Ely, Ely spent centuries as a hamlet with simply a small fishery and corn mill, but now contains plenty of pubs and the core of many local industries, including Ely Paper Works, which within 20 years was Britain’s largest newsprint producer. Fairwater. 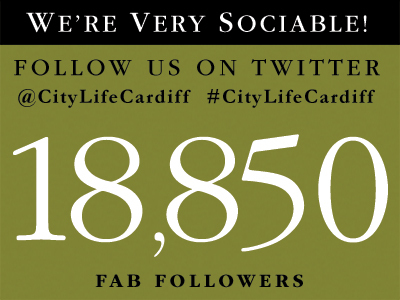 Since earning the status as Cardiff suburb in 1922, Fairwater has developed from its more humble beginnings. Its park, known as The Dell, is where you’ll find one of Britain’s first manmade ski slopes, and if you can’t imagine yourself zooming through the Alps just yet, don’t worry, as Fairwater also has masses of recreational spaces. The Brook was a haunt of Roald Dahl in his youth, no doubt serving as the inspiration behind some of his classic children’s novels, while Fairwater Green is a keen supporter of independent shops. Leckwith. Originally a small Vale of Glamorgan village, Leckwith is now better known among South Wales for its Capital Retail Park, a voluminous shopping centre with the standard department stores, as well as a fair few tearooms in which to refuel. Despite being slightly less known than the shopping amenities, Leckwith Gospel Hall is a great example of the community’s unification in action. Family services, coffee mornings and prayer all contribute to making Leckwith a pleasant place to be. Pontcanna. Upmarket Pontcanna is one of my favourite suburbs, a sentiment sure to be shared by those of us whose ideal (and in fact every) Sunday includes leisurely brunches in atmospheric cafes; strong coffee and undemanding saunters. Yes, Pontcanna is a little haven for the foodies of Cardiff – we’re talking Fat Pig Deli (tapas; American pancakes; the best bacon); Kemi’s (exceptional vegan menu); Canna Deli (artisan cheese and award-winning Welsh wonders); Bullys for a hearty Sunday lunch or tres bien French cuisine; and, as we’re all for quirky international fare here at City Life Cardiff – Brod. Having only opened in November 2015, Brod is already proving that Cardiff had been silently screaming for its first Danish bakery. Further proof that The Sunday Times were right in naming Pontcanna the hippest place in Wales, and even among the top 30 most fashionable places to live in the whole UK, is Llanover Arts Centre, another inspiring chance for local performers to wow us with their talent. St Fagans. You probably associate this delightful village with the well-known Natural History Museum, and although touring here is a fantastic way to learn about Welsh heritage and culture, it’s not the only thing St Fagans has going for it. The surrounding grounds double as classrooms for less intense history lessons – they’re just really nice places to wander around of a Sunday afternoon. St Mary’s Church; The Plymouth Arms pub; Cafe 82 and the abundance of pretty walks make St Fagans an area you should definitely get to know.